- including colouring credits on the covers as well as interior pages, and of course his writing. A selection of future Shocks. 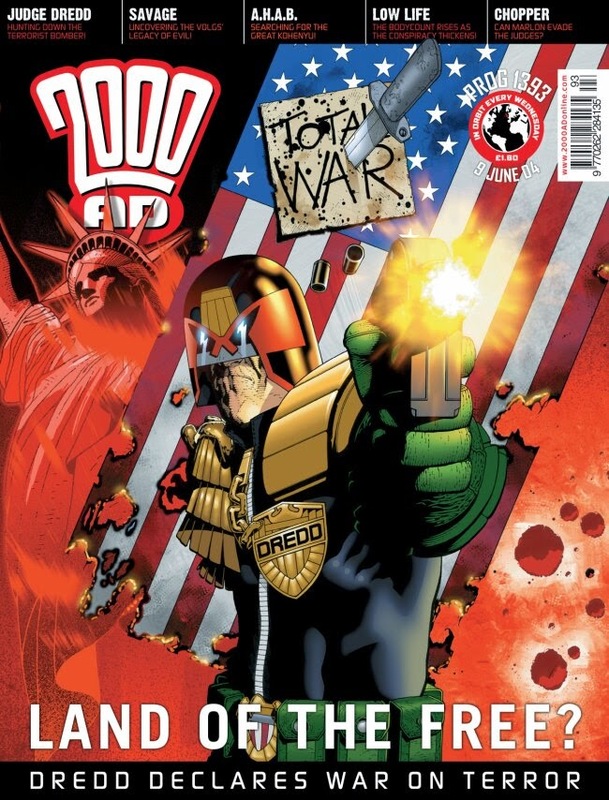 An awful lot of Judge Dredd, and, lately, Dredd as well. A bunch of Nikolai Dante, Sinister Dexter, Mercy Heights, Tor Cyan, VCs, 86ers, Damnation Station and Grey Area and, of course, many Future Shocks. -and 83 covers , too. 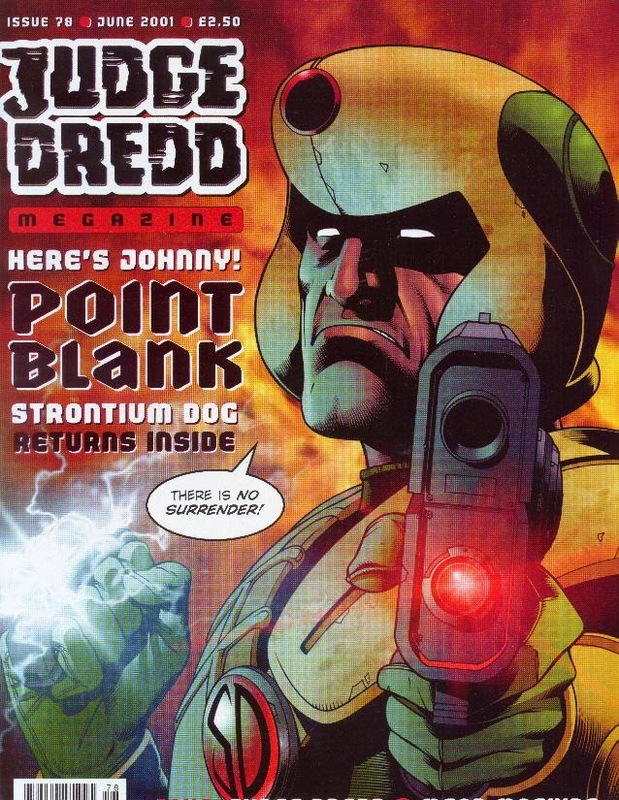 Or, to put it another way, various works by Steve Yeowell, Patrick Goddard, Paul Marshall, Andy Clarke and a host of Dredd artists. Notable characteristics: clarity, warmth, and, I think, a predilection for reds, blues and oranges. Also, I’ve just discovered from writing up his list of credits, a lot of Space War comics. In my head he’s the definitive colourist of laser beams. 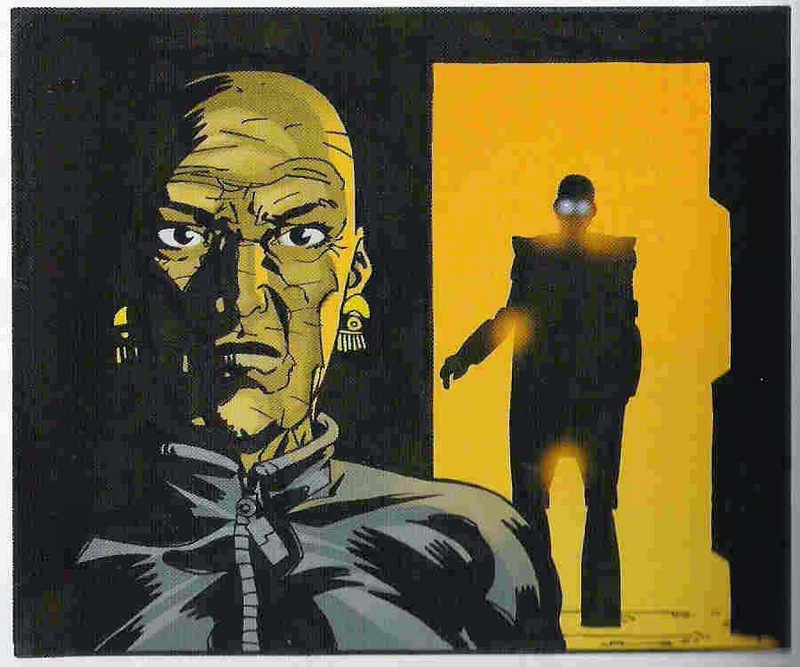 Alongside Tharg’s design dept, colouring droid Chris Blythe has helped create a uniform look and feel for the comic since his first appearance in Prog 1127. 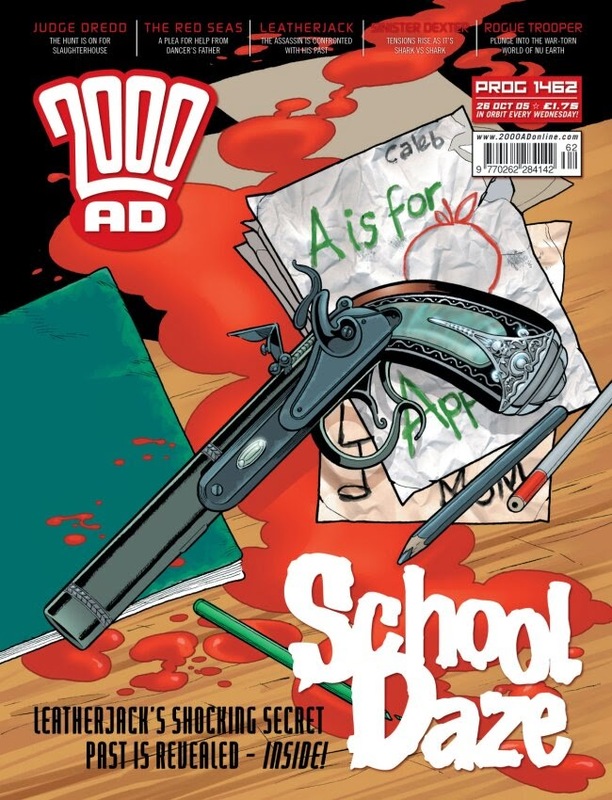 Not coincidentally, this is also around the time that 2000AD began its current, decade-long Golden Age of greatness. Also not coincidentally, I suspect, Blythe began working for Tharg at a time when computer colouring technology, and no doubt colour printing technology, had finally surmounted various hurdles that dogged colourists, painters and readers alike during the 1990s. As a result, Blythe’s work has always looked supremely professional, and never too showy. Dig how the colours show what things look like but also what the situation feels like. It's not rocket science, but worth celebrating when done properly! 2000 AD went full colour as long ago as Prog 650, before allowing black and white to come back in for those strips that suited it**. For a long time, this could be quite a haphazard affair, with artists having to learn how to paint and/or use digital colouring tools while on the job. Not to mention scanners and printers having to learn how to cope with it, too. 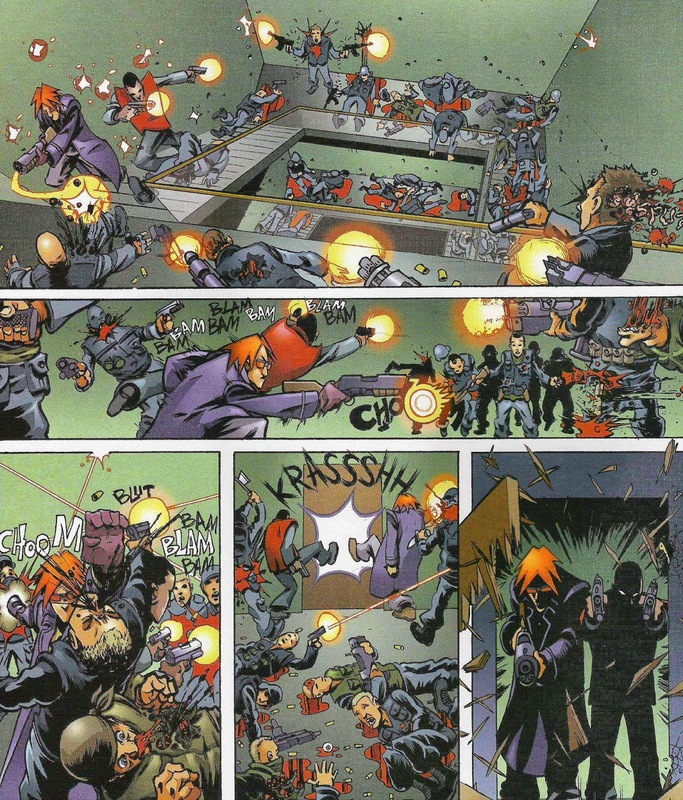 The comic could alternate between being garish and brown on the same double-page spread. 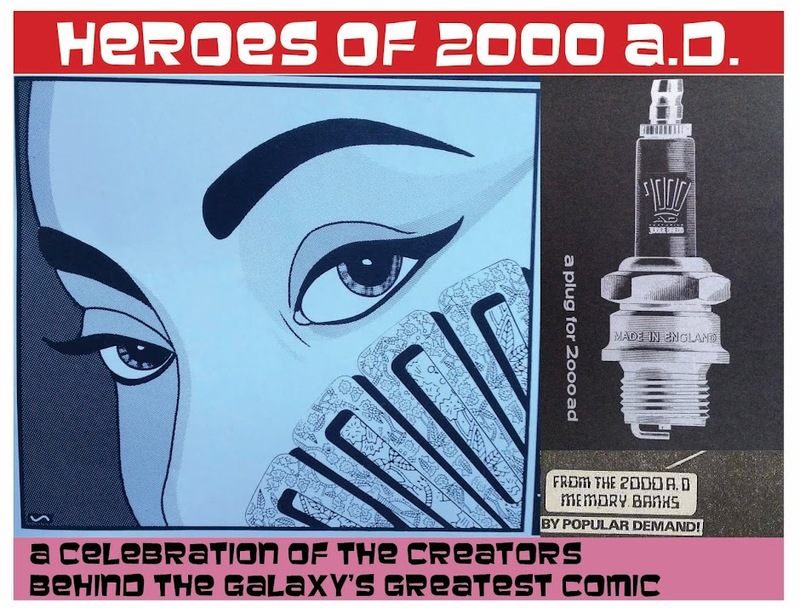 Now, it may not be right to credit Blythe beyond anyone else, but since he started, 2000AD’s palate has settled down, and we’re guaranteed a Prog that looks, for want of a better word, right. Certainly Blythe seemed to really know what he was doing right out of the gate. Particularly associated with Judge Dredd, Blythe has had a go at colouring a whole range of artists, and a wide range of series, too. Whether he’s keen on space war, or whether Tharg simply feel he’s the right person to colour on top of Space War type artists, I can’t say. But the likes of Vanguard, VCs and Damnation Station have all benefitted from the clarity and consistency of tone that Blythe brings. But he's versatile, too, handling comedy just as much as the serious stuff. Even with my feeble scanning skills, the glow really glows, don't it? Clearly a fan of the comic’s contents, Blythe’s one of the few creators with both art and writing credits to his name. If I’m being totally honest, I don’t remember the specifics of any of the future shocks he has written. But I do have a copy of his graphic novel, Angel Fire, and it’s a decent book that excels on tone and atmosphere. Like many great unsung sporting heroes, Blythe is dependable, consistent and a real team player. So let’s sing his praises! Best death by nuke ever! He's got an active Tumblr account, though, for lovely pics.